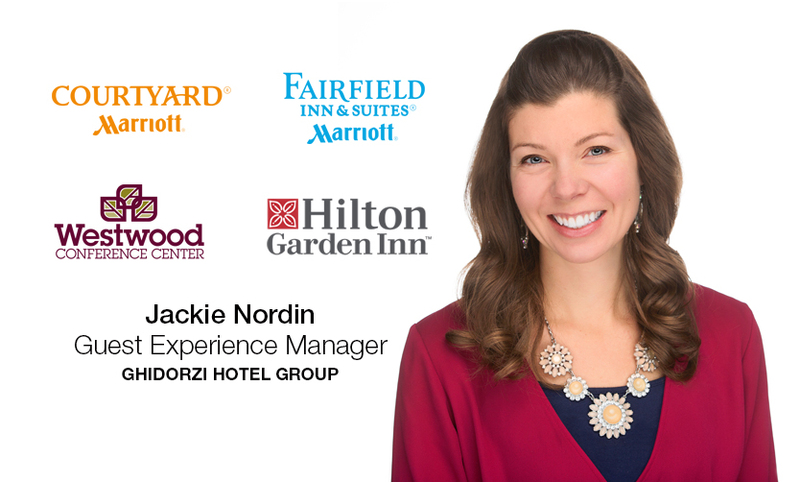 Ghidorzi Hotel Group is expanding its hospitality management team with the promotion of Jackie Nordin to Guest Experience Manager. Jackie has 15 years of experience with our hospitality brand serving guests with her personal motto to “be a help and a blessing.” She continues to drive the guest focused culture of Ghidorzi Hotel Group and with her leadership will further enhance our guest experience across all brands. “Every experience matters in the hospitality industry. With Jackie leading the charge as Guest Experience Manager, our Ghidorzi Hotel Group teams are all the more empowered to build loyalty and a connection to the property with every stay,” said Chris Ghidorzi, head of Ghidorzi Hotel Group in Wausau, WI, which includes the Hilton Garden Inn, Courtyard by Marriott and Fairfield Inn & Suites by Marriott and Westwood Conference Center. This advancement strengthens the Ghidorzi hospitality brand in its commitment to serving our guests with an exceptional hotel experience.